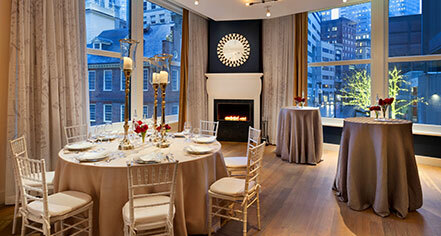 The Ames Boston Hotel, Curio Collection by Hilton’s unique and cozy private space is the perfect setting for an intimate wedding or an after wedding brunch. The large glass windows, built in fire place and panoramic views of the Old State House marry modern luxury with the backdrop of historic Boston. 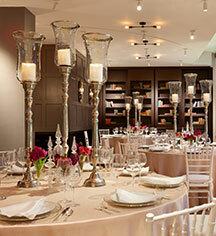 The hotel has the ability to host a cocktail reception for up to 130, and seated events for 75.